Technique: white shiny surface with oxidized crevices. 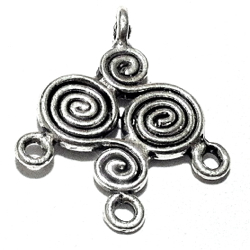 Usage: charm for any jewelry, includes three rings for the attachment of gemstones or other charms. Will make a beautiful earrings body.